Shreyas offers reliable , transparent and competitive trading facility to its clients on NSE through its network of branches. The Company offers one of the most competitive rates for its clients. Shreyas offers trading facility on the internet, through its portal. Srishti Financia offers discretionary portfolio management services. We have a team of experts who carefully take investment decisions based on the clients objectives. The Portfolio Management team has a successful track record of more than 10 years in the capital market. 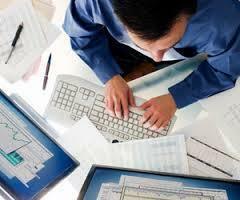 The team has access to strong Equity Research, and Fundamental & Technical Analysis. Kedia Stock Broker is Member of Inter connected stock Exchange of Indi LTD. And Sub Broker of ISE Securities & Services Ltd. Investing in shares or stock market is considered the best route to long-term wealth creation. It can also be a very risky route due to high risk-return trade-off. So, it is prudent to take the help of an experienced and trustworthy expert who will guide you about the when's, where's and the how's.